The Promise Fund was created to inspire the community to build leadership skills and empower the underserved population within DeKalb County especially for recent immigrants. Learn more. The Wiegele Family Early Childhood Literacy Fund was created to support early childhood literacy through organizations that provide direct outreach services to underserved populations of very young children (birth to kindergarten), including their parents, in DeKalb County. Learn more. 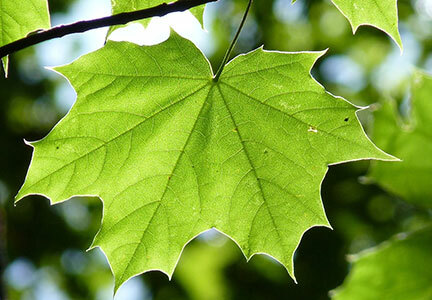 Applications for Promise Grants are available starting in October of each year. Applications are due by mid-November. Grant applications must be submitted online. Grant decisions are generally made within one month of the application deadline and applicants will be notified electronically or by phone. 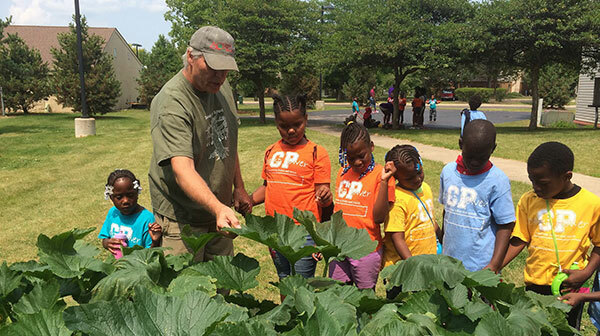 Pictured: Dan Kenney of DeKalb County Community Gardens (DCCG) shares gardening tips with children participating in Camp Power. With funding provided by a 2017 Promise Grant, DCCG introduces and teaches children of various ages about vegetable growing and eating.